Not much to see here...just Stealth Elf flying through the Adventure Pack Chapters. I wanted to make the blog post for these four chapters just in case someone had questions...they can post here as opposed to the more generic, "Ask 1ofWiisdom" post. I have to say, none of these were particularly challenging...I think you get a break on the card games, lock puzzles, and maybe even some of the "boss fight" segments. A leveled up Stealth Elf is all I need to complete the Time Goals and garner the 3 Star Ranking for each chapter. The bad news first...I still don't have Warnado, who I have eagerly been awaiting since October, Camo, or Wham-Shell. They are, however, becoming easier to find...just the last few days I've seen several folks finding 2-3 sets at their local Walmart or reporting that their GameStop has been getting them in regularly etc. The good news is I have them on order! Having missed out on the GameStop unveiling for Camo and Warnado I was a bit disappointed (I missed their Wham-Shell earlier this week as well). When I found out that Walmart had the trio up I was miffed...mainly because I filled out their "email me when this items is in stock" form long, long ago. I'm not sure, but it could be the system just can't get e-mails out before the stock dissipates, or perhaps they knew it wasn't enough to justify a full listing etc. Still if you are someone who relies on "email me when this is in stock" you may want to be a bit more proactive...I'm pretty sure I did something similar with GameStop, but oh well. The bad side of good aside, my order is coming from Amazon! I have never had an issue with Amazon damaging anything, I get to pay retail, and I get free shipping. This is a win-win-win. First off I'm not having to (although I'm sure I'll continue to look locally) hunt for Wave 5 like a possessed lunatic. Second, I am paying less than singles cost at TRU or GameStop. Lastly, free freight! GameStop ships quick, but that is another few bucks that could have been something else. Toys'R'Us has the nuttiest freight charges and their penchant for using "Sure Post" basically costs me 3 days of transit time with every order. Amazon will come free via UPS, not bent-up, and at $8.99 per Skylander! The only downside here is they have yet to say when they will ship, but still, I can rest a little easier knowing that the final three will be on their way shortly. Special thanks to Jon, octaneblue, for the heads-up on the pre-order! Last night, well technically this morning, I recorded the time goals for Empire of Ice, Pirate Seas, Darklight Crypt, and Dragon's Peak. They are being edited and uploaded as we speak! With the time goals done, I have 3-Stars on every chapter, except for Darklight Crypt. Apparently I am not doing something right on the Enemy Goal. I went thru it last night and literally decimated everything (made it a point to take out 5-6 of the Stump Demons around Occulous) and still came up empty...I'll work on that and getting Wrecking Ball up to Level 10 (he is at Level 8 and the only Skylander not currently at 10). What I plan to do now is simply take the fleet thru Heroic Challenges. Obviously I am going to do my favorite Skylanders first. As of right now I feel like I've gotten the hard challenges taken care of (ie Boomer and Eruptor on Double Trouble etc). I am a little leary of doing the mass upgrades until I know if Warnado, Wham-Shell, or Camo will have a similar challenge to Double Trouble or Drobot etc. I will work on that and should I get it wrapped up to my liking I'll record mass upgrades and pick paths etc. I am currently playing Wii Fit Plus, Gold's Gym Cardio Workout Skylanders: Spyro's Adventure (Wii), and Professor Layton and the Last Specter (DS). 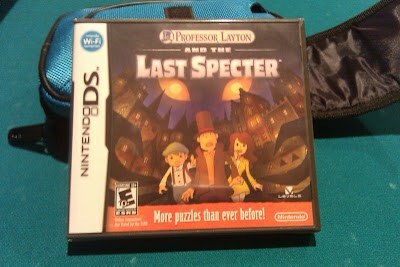 I am really enjoying Professor Layton and the Last Specter and will likely pick up the previous installments in the series. *If I wrap up upgrades on Skylanders I will start recording Mario Kart Wii. Earlier today I was able to get the "Fire Element Upgrade Path" poll results blogged and I also added Blog Poll #26 "Who is Your Favorite Skylander?" It is going to be a very nice poll in my opinion! Blog Poll #26 is all about going big, or going home. This poll asks, "Who is Your Favorite Skylander?" You have 32 options and you can vote once. I'm letting the poll run 40 days and 40 nights...you can cast your vote just below the Twitter Feed. This poll should be EPIC. I was originally going to launch a battle tournament, but I will hold off. I really want Camo, Warnado, and Wham-Shell to be more readily owned before having something else that has a possible tinge of bias permeating. 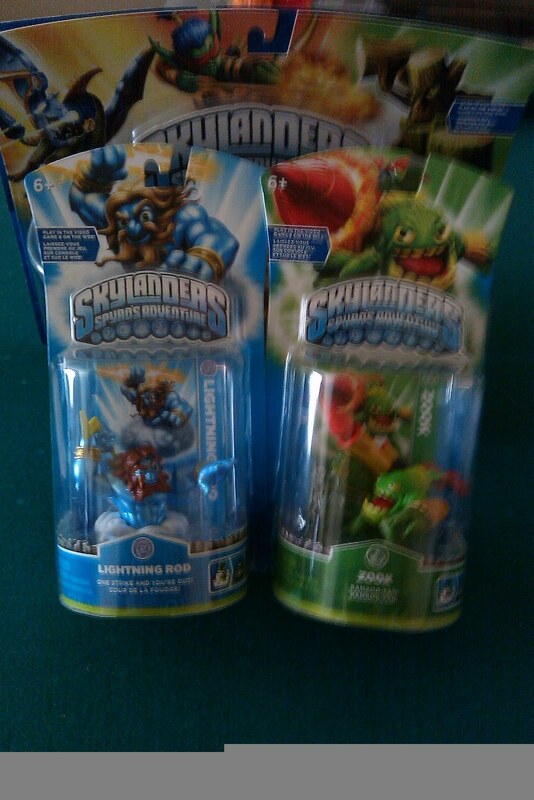 That said, I have polled "What is Your Favorite _____ Element Skylander?" before and in some cases we didn't have all of the line-up out. I might break that back down later this summer to see if things have changed and if so, how and why they changed. But this...this is something entirely different. You've got one vote. Love Spyro and Sunburn, you've got to pick one of them. I know this could result in low vote totals and I encourage you to vote for your absolute favorite and not be swayed because your favorite, Wrecking Ball for example, is well down below say Spyro, and you don't want to "throw your vote away. There will be no such thing. If we have 200 votes and 100 are for Spyro, 50 for Trigger Happy, and you were the 1 of the remaining 50 votes and the only to vote for Gill Grunt, so be it. I want a true sampling here. I am very excited to see how this one pans out and I'll probably even include it in weekly updates to hopefully encourage more voters. So spread the word and cast your vote now! I will make a stand-alone blog post and add it to the sidebar with the final results. *Please not I am not including any special (ie Gold, Silver, Clear, Glow in the Dark etc), nor will you see any Legendaries...Dark Spyro is also getting the boot on this poll...However, if your favorite is Dark Spyro, cast your vote for Spyro. Similarly, if Legendary Chop Chop is your all time favorite, just vote for Chop Chop. You are more than welcome to reply to this post with who is your favorite, why they are your favorite, and if you prefer another version (ie Dark Spyro, Legendary Bash etc). Thanks in advance for voting and please spread the word...I'd like to get as high a vote count as possible to see how everyone ranks the Skylanders in terms of their absolute favorite. I have wanted to make this post for quite some time....Chances are, if you stumble across this blog, we probably have similar tastes in games. I might have something you don't which sparks your interest, or your personal library might have a game you know I'd like etc. Hopefully this will pay dividends for everyone. There are some games I know I'll like (Mario anything), games I take a chance on (Mystery Case Files: The Malgrave Incident), and even a few gifts etc here and there. While this serves no immediate purpose, I think it is cool to have this stuff documented so folks that come across the blog can skim my library and see what we have in common. You might find something I have that you don't that sparks your interest, or you might know from what I have and what I enjoy a game you've got that you think I would really enjoy. It is a 2 way street and hopefully it'll pay dividends for everyone. As always, I try to include as much information as possible in the video for one simple reason: the more info that is included, the fewer questions that have to be asked...that saves time for everyone. If you want a quick unboxing, without commentary, I'm sure you can find it. I go into a lot of detail to really show what you get for the money and there are many people that prefer that method. First off let me say...I really would have preferred singles for Lightning Rod and Zook. I know that is almost the price of the triple pack at non-TRU stores, but it would have made for a better video as I'd have done Lightning Rod and Zook separate...As is, I felt obligated to include Cynder's info, despite unboxing her single pack, because prospective buyers of this Triple Pack will want insights on her as well. That said, if you really want to focus on Cynder, please watch Cynder's Unboxing . Cynder is the last of the Undead Element to be released following Ghost Roaster, Chop Chop, and Hex. Lightning Rod is the 3rd Air Element to be released coming in the wake of Sonic Boom and Whirlwind and just before Wave 5's Warnado. Zook is also the 3rd Life Element to be released following Stealth Elf and Stump Smash with Wave 5's Camo hot on his heels. This Triple Pack is a great pick-up if you still like Cynder, or already have her and would like another to do her other upgrade path etc. Lightning Rod "One Strike and You're Out"
I will close with a little info on Wave 5. Wave 5 will consist of Camo, Warnado, and Wham-Shell. Camo is the last of the Life Element Skylanders and will come in both Single Pack and Triple Pack H.
Warnado, who I am really looking forward to, will be the final Air Element Skylander and can be found in both Single Pack and Triple Pack H.
Wham-Shell is the last man standing if you will and as best I know will only come in single pack format. He will be the final Water Element Skylander and the last Skylander to be released for Spyro's Adventure. Triple Pack H will feature Camo, Warnado, and Ignitor (who has been out since Day 1 in the 3DS Starter Pack and as a quite hard to find Wave 4 Single Pack). As of this posting, Warnado and Camo are being found in the US at Walmart and a few GameStops. I imagine Toys'R'Us and Amazon will get them soon. Wham-Shell, as of right now, has only been found in Australia and a few have found a crystal/clear variant of him. I am currently looking for the final three Skylanders and will naturally unbox them, introduce them, and record their Heroic Challenges as soon as possible. I am hoping to try out Lightning Rod and Zook early this week...I'll record when that happens. Good luck tracking down not only these featured Wave 4 Skylanders, but Wave 5 and any others you might be missing! 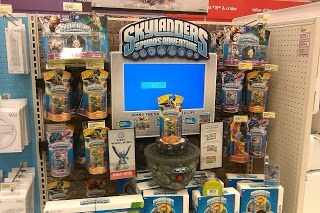 Well, another week...another Skylanders hunt. First off, let me say I don't know if that is used by anyone else on Twitter, but I plan to start making use of it...Sadly in my #streetpassing attempts tonight I came up empty. I could really use a light blue shirted Mii right now. I guess I"ll keep trying until other people realize they need to drive the streets with their 3DS in sleep mode to land some Street Pass Tags. Well, there was no pleasant surprise here. I clicked on the Nintendo Channel to find some new vids on Mario Tennis Open and nothing from Nintendo Week. I really enjoyed the show and think they would be wise to bring it back in some form, perhaps how I mentioned it in last week's update post. 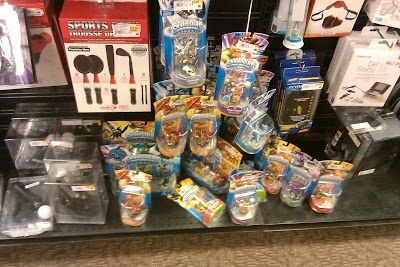 First stop was Target...they had a lot of the same ol' stuff: Eruptor, Boomer, Wrecking Ball, Stealth Elf, Drobot etc. Nothing new at all. Toys'R'Us on the other hand...they were once more well stocked. 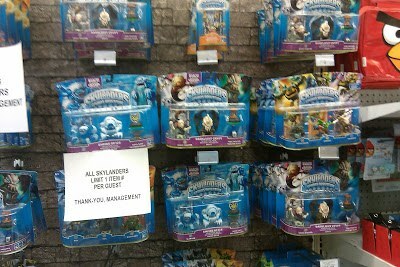 I saw every Triple Pack with the exception of the newest one (Lightning Rod/Cynder/Zook). There were still more Legendary Trigger Happy singles than anyone knows what to do with and I'm sure the back is overflowing with them as well. And keep in mind, this is right after I ordered Empire of Ice for my friend 2 weekends ago AND got Dragon's Peak from TRU online 3/25, with it arriving on Monday. However, there were 3 Dragon's Peaks in the store. They are still not really getting to cash in on the "exclusive window." This was the first time I actually saw DP for sale and not being held for someone etc. As I talked with an employee I learned that I did get pretty lucky with that "Blue Bash raincheck." Keep in mind my store got 12 of them last Sunday (some stores had 6, most had 12, a few reported 18, and some of you with employees holding stock back for themselves would have seen numbers not divisible by 6). What I learned was that my store was allowed to issue 15 rainchecks. That would total 27 Blue Bashes allocated to our store. I don't know if that would be nation wide (US), or applicable based on sales/population numbers etc, but it is what it is. That makes me feel pretty lucky getting the raincheck, although I still have no guarantee the figure will get produced, lol. Walmart had Drobot, Eruptor, a stashed Boomer, and maybe a few Wrecking Balls. GameStop wasv very well stocked with singles and Triples, basically Wave 2 and earlier. I did see a few "used" figures in plastic bags hanging behind the counter...they were all Boomers...poor guy. What do people have against a troll that has a penchant for blowing stuff up? Yeah, Professor Layton and the Last Spectre. 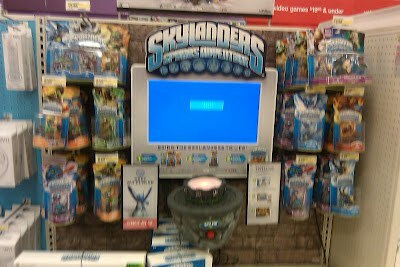 Skylanders? No, but I am looking forward to it. This is the prequel to the series and I figured I would just get it first. I like to go chronologically, but The Curious Village will be a pain to find and almost assuredly have to come used to avoid paying some crazy price for a game that should be $15 new, so I opted to just start here. This should be the most refined game in the series, so if I like it I can hunt for Curious Village, if I don't, I can't just assume I can live without the others. 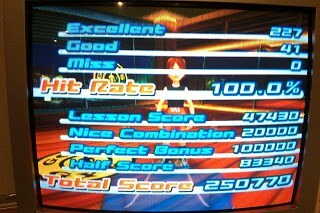 This isn't really something I'd typically see myself playing, but I like to change things up a bit. I got Mystery Case Files: The Malgrave Incident for the same reason and really liked it, even thought it was a bit quirky and I had no freakin' clue what I was supposed to do half the time (that putty knife serving as an ice scraper still gets me). I think I'll enjoy the game, and I wanted to play tonight, but I am beat...I'm sure I'll get in bed and turn it on though. Oh, and you remembered seeing "Scalpers: Case Solved" in the title and wondered where it was...well here you go. As some of you know, Wave 5 is here...and no, this is not an April Fool's Joke. Camo and Warnado (who I am looking forward to playing) have both been seen across the US and are of course making their way to ebay. Wham-Shell has been spotted in Australia, along with a pretty sweet looking clear variant (I told folks they wouldn't be done with Blue Bash). Anyway, one of the first ebay listings was in my town (see, I don't make up the ebay pirate stuff for the heck of it...it is true). I first heard of the "lady and her friends" raiding GameStops every morning at opening...then at shipment times from a manager this fall. It became such an issue at my local TRU that they imposed the "One per Customer" limits. Walmart has not done anything and you can tell...note that it is the only place that I only seem to find Eruptor/Boomer/Drobot...you know, the ones that scalpers can't make much money on anymore. Well, as I was talking with an employee at TRU I was told the story on our local limits. A guy was coming in and cleaning the shelf, much like many of you have seen at Walmart. He did this regularly AND he had a track record of doing it (how about 28 Wiis back when they were super popular and almost impossible to get a hold of locally). One day the store employees and manager told him he couldn't buy it all, just one of each...he got mad and wrote a letter to corporate. Corporate investigated and when they heard why they did it and saw the transaction history, they agreed with the local store and sent the guy a similar letter. Well, guess where his wife works? If you said Walmart, you are correct! That means, that she opens the cases in the back...pulls what she wants, knows that the other stores stocking Skylanders will have the same shipment, sends someone over there, or has an associate hold them for her, and then she and her husband list everything on ebay to make a killing. I've said before, if a store gets something in that an employee wants, I'm all for them holding it back and buying it. If this lady was a huge fan, sure...take the first Camo and Warnado. The thing is, she takes them all every time! If Drobot would fetch more than $9 on ebay I know he wouldn't be on the shelf at Walmart. And keep in mind right now it is Walmart that is the place getting the Wave 5 Skylanders. So, where I run in and find Drobot, you might head in and find Camo and Warnado. I'm not a huge Walmart fan and knowing that an ebay pirate works there, takes advantage of the system, and does it for huge profits from those afar and at the expense of local players, I'm pretty ticked. Like I said, if they get 2 shipments a week and she is the "First" to get the new stuff, fine...enjoy it...I'd like some perk if I worked at Walmat too. But to literally have this job just to advance your second, and probably more lucrative job, is pretty sad. This is why I NEVER buy from scalpers and refuse to pay over retail for anything. Well, that wraps it up for this week. If TRU shipped by UPS I would have the Lightning Rod Triple Pack today, but since they stick it with the post office I'll likely see it Monday. Hope everyone has a great Easter...Keep your eyes out for the Wave 5 Skylanders! And since inevitably questions about other recent Wave 4 Releases (Ignitor Single Pack, Lightning Rod and Zook Single/Triple, and Blue Bash) are bound to come up, I touched briefly on those topics towards the end of the video. Again, my logic is to cover as much as possible without spoiling anything that might happen "in game." I must also stress that you please refrain from paying ridiculous prices to scalpers. If they wind up having to sell for retail or $5 over, they really aren't making enough to justify the effort...that means good things for Skylander fans at retail stores. 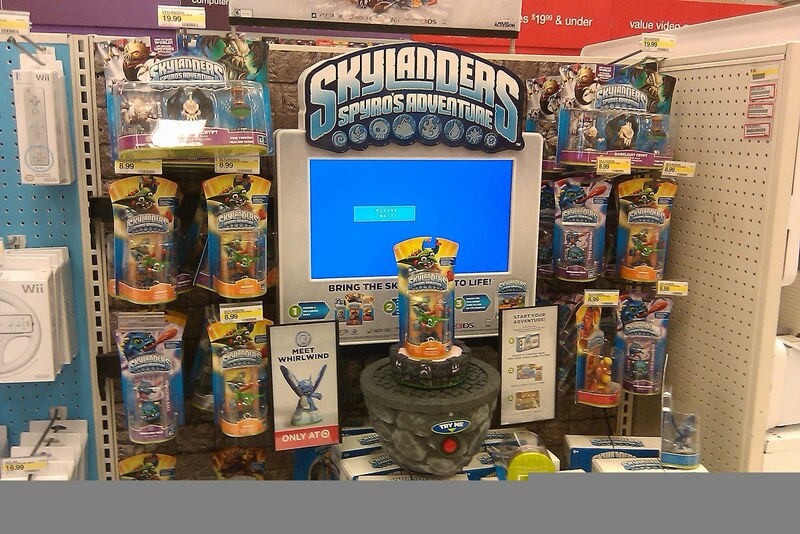 Dragon's Peak debuted, or should have debuted, Sunday, March 25th, 2012 at Toys'R'Us in the United States. They kind of botched that and some folks bought them early on the 3/21 event, while others had them 3/21 only to find they wouldn't ring up. It was truly a debacle. What really amazes me, and makes finding Dragon's Peak a royal pain, is that despite their exclusive "30 day window" my TRU (and many other TRUs) have only had that initial shipment. That is really failing to take advantage of the cornered market you know? I and many others missed out locally, but were able to order it online through their website (which has been sold out roughly since the same time the stores went dry). The Dragon's Peak APs on Amazon and ebay are extremely over priced and I would encourage you to wait for TRU to get more in, or simply give it a little more time till all retailers have it and save $5. I enjoy the game as much as anyone, but I refuse to pay over retail for anything like this. 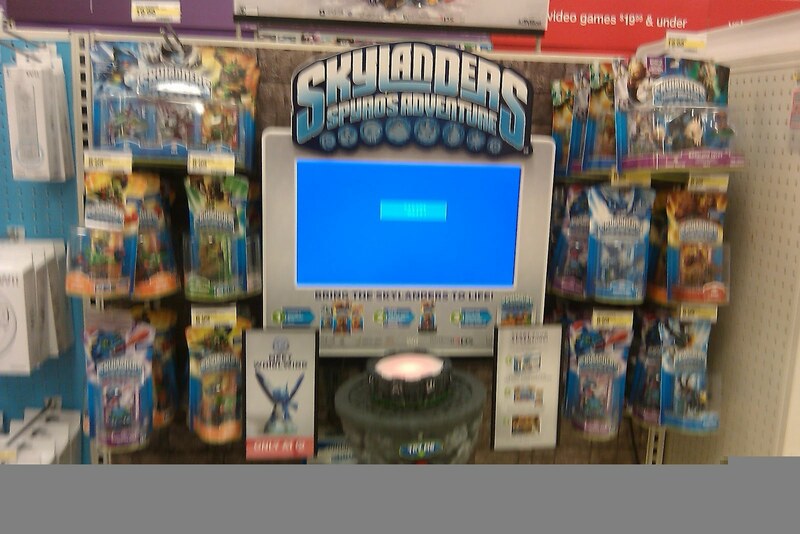 Ignoring the botched launch and inability to stock an item during an exclusive window, this is a big deal for Skylander fans. Dragon's Peak is the LAST CHAPTER in the game and since all the other APs are out, you can now complete a few collections to work on the Accolades (Story Scrolls, Hats, Legendary Treasures, and Soul Gems). I'm very excited about that aspect of it. I have also heard that this level is pretty challenging, so that should be fun. Sunburn has a huge fan base right now and I am personally looking forward to checking out his teleportation ability. Again, the only downside to Dragon's Peak is finding it for a fair price. I had hoped that TRU would have a solid stock of these to really take advantage of their exclusive sales window...clearly that isn't happening at the moment. I would expect at least one more shipment before the 30 days expire, but who knows the way things have gone lately. If you can look past the hassle, there is a lot to look forward to about Dragon's Peak (Chapter 26). I will introduce Sunburn and record his Heroic Challenge as soon as possible. That will of course be followed by the blind playthrough of Chapter 26: Dragon's Peak! This is something I've intended to do for quite some time. I get asked a lot of questions and in making this blog post I will let readers generate their own FAQ if you will. Basically all you need to do is ask me a question, whatever you want, and I'll post it here with my response. I've been asked some pretty strange stuff, but as long as it isn't too invasive or personal (ie you won't be getting my phone number or social security number etc), I will do my best to answer it. 1. Ask here on the blog (preferred method). I don't really want to bring YouTube into this because there are so many questions...if you really want to know or see it here, just take the time to post to the blog etc. I think this will come in handy and since most people have the same questions, it'll hopefully save myself and some of you time. Q: Will you do Skylanders Giants? A: Yes, when it comes out. I will do unboxings, reviews, and a blind playthrough. Q: Why do you do "blind" playthroughs? A: I honestly like them. If I've mastered a game I will do a walkthru (and yes, that is how I like to spell it), but a "blind" run makes the video, in my opinion, relate better to most...and eventually you'll get all the extras/unlockables. Q: Who is Your Favorite Skylander? A: Terrafin. This is a tough question, and if you add a variable into the mix it could change, but right now and overall I would give him the edge. Q: Will you ever show your face in a video? A: Probably not...it has never really been applicable thus far. 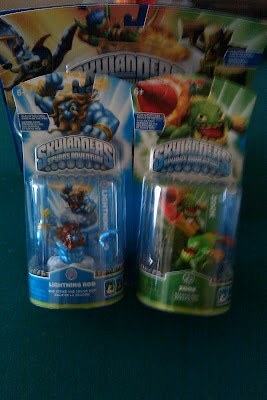 Blog Poll #25: Which Skylanders Adventure Pack and AP Character is Your Favorite? Blog Poll #25 technically consists of 2 Polls. It is also really hard to title without being extremely redundant. That said, what I came up with was the best at the time, lol. This one should be very interesting and to give everything a fair shot (ie Dragon's Peak and Empire of Ice still being pretty hard to come by), I have left it open for over a month. This should give us some very solid vote totals to analyze. We first want to look at, "Which Adventure Pack is Your Favorite?" We will then counter that with, "Which Adventure Pack Character is Your Favorite?" Even tougher is it not? That is also reason for leaving it open. I have also noticed that a lot of the time the "new" or "hot" item tends to dominate. For example if I was doing "Who is Your Favorite Life Element Skylander?" right now, folks would be more inclined to Zook it up instead of considering an old favorite, or giving consideration to a future release. By letting the poll run this long I really just hope that more of you can get the Adventure Pack(s) you are missing and will give it an honest vote. By having it divided between chapter and character, someone that loves Slam Bam, but didn't like Empire of Ice can vote for each unbiased. I am really looking forward to monitoring this poll and hope that you will spread the word and tell your friends so we can have a really high vote count. I think this could be one of the tightest polls we wind up running for Skylanders. Blog Poll #23 Results: Which Upgrade Path Do You Prefer for Life Element Skylanders? Blog Poll #23 asked, "Which Upgrade Path Do You Prefer for Life Element Skylanders?" and we had a nice 60-70 vote total for each (the poll was only open a week). Once more, no surprises...readers definitely seem to prefer upgrading the primary attack. Stealth Elf led the way with 78 total votes and sported a +34 margin for Pook Blade Saint. Stump Smash's Smash'N'Bash was +52 over Nut Crafter. Zook, who not a lot of us would have had when the poll closed, sported a +44 for his Artilleryman. I could see a few people honestly liking the Floral Defender route, but the question of course is will the base Floral Defender be weak enough and the promise of the Artilleryman path be marginal enough for folks to follow through. Camo is the real wild card here as none of us have him. 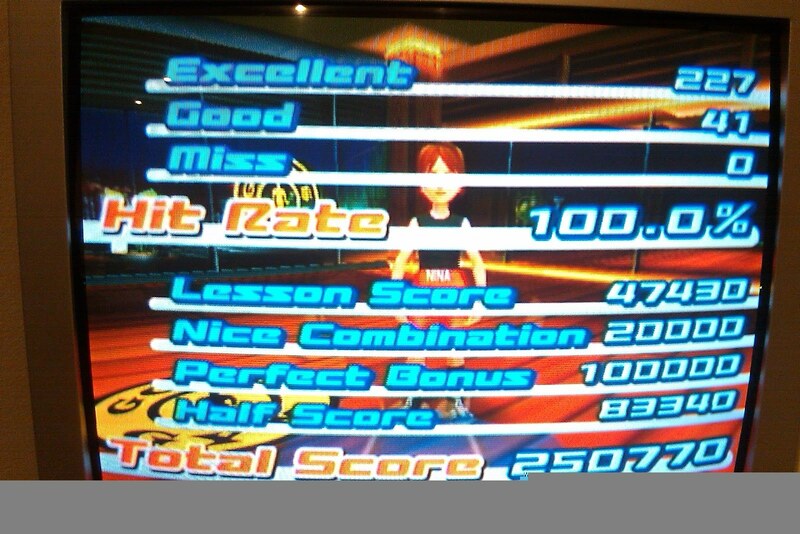 Note that Melon Master was the Primary Attack despite it being listed second. That didn't catch anyone off guard by the looks of the votes, however he was only +14. I'm sure we'd get a better sampling if there were some gameplay vids folks could consult...and of course, first hand experience can not be beat. But, as you can see, the Life Element Skylanders seem to be another segment that is overwhelmingly preferred on the Primary Attack Upgrade Path. Blog Poll #22 asked "Which Upgrade Path Do You Prefer for Air Element Skylanders?" It didn't run as long as some of the others, but nonetheless we had a nice sampling and I offer my thanks to those of you who voted. Let's analyze things by votes. I have to say I am surprised Whirlwind had more votes than Sonic Boom, but both were ahead of Lightning Rod, who not many of us have yet, and Warnado who is yet to be released. The trend was once again upgrade the primary attack. Sonic Boom's was listed with Siren Griffin last, but it didn't fool anyone. The results for the Air Element were overwhelmingly in favor of going down the primary attack upgrade path. I will say that I am looking forward to Warnado and I hope he doesn't disappoint. I always look at turtles as underdogs and am into weather so a Turtle/Tornado is pretty awesome. I think, provide he is at least solid, he could easily be my favorite Air Element Skylander, and quite possibly one of my Top 3. I have yet to play as Lightning Rod, but as of 3 AM or so this morning (4/2) I made the order on TRU.com and have him and Zook headed this way. Not really sure what to do with that Cynder, but I guess I'll hang onto her in case I can trade for a Wave 5 release or something.